Hello and isn't it a fabulous Monday? Mainly because it's my last Monday at work for quite a while... Moving right along. 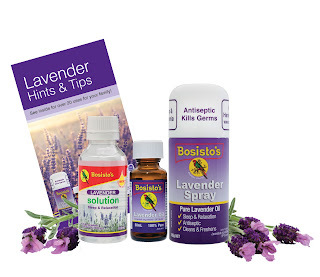 Thanks to everyone who entered the Bosisto's Lavender Giveaway. I've forwarded your postal details to Bosisto's and your goodies should be in the post soon. Wooo!!! Unfort all days are the same for me hahaa ESP once on mat leave and oh my gosh your last week SSG! !